About Vale Farm A few years ago Hendon would have been played at their historic Clarence Road ground, just a short distance from Brent Cross, but hard times have hit most clubs in the Non Leagues, so today they ply their trade at Vale Farm, within the shadows of the Wembley Arch and home of Wembley FC. Whilst it will never be “home”, the club have made a real effort to make everyone who visits welcome. The pitch is still one of the best in the Non Leagues, as was actually used by England as their training pitch during the 1966 World Cup Finals. The new main stand is well appointed and the bar will prove very popular to travelling fans albeit a bit on the small side. How to get to Vale Farm If you are driving then your best bet will probably be up the M23, clockwise around the M25 and then down the M40. When you reach the A406 at Hanger Lane Gyratory take the A4005 (Bridgwater Road) towards Sudbury & Harrow. Stay on this road, following signs for Harrow until you reach the roundabout with the A404. Take the 2nd exit continuing towards Harrow and travel under the railway bridge past Sudbury & Harrow Road station. At the next roundabout take the 2nd exit (Watford Road). Then take the 2nd exit into the Vale Farm complex, and the ground is on the right hand side. There is plenty of parking at the ground. From the south by train, head up to Clapham Junction where you then need to catch a train towards Watford Junction. Get off at Wembley Central where you can walk 20 minutes along Harrow Road or get another local train to North Wembley. A better bet may be a tube to Sudbury Town which is a five minute walk away, following the directions above on Watford Road. The station is on the Piccadilly Line from Central London. Either way it is a good two hour trip from the south coast. Admission to Vale Farm Admission this season is £9 for adults, £5 for concessions and under 16s will only pay £1. Programmes can be bought inside the ground. Our last visit – September 2012 The road to Wembley is not paved with gold. In fact for 99% of teams (well, actually 98.8% now that the FA Cup Semi-Finals are played there), the nearest they will ever get to the home of English football is a small non-league ground at Vale Farm which is in between Sudbury Town and North Wembley tube lines. 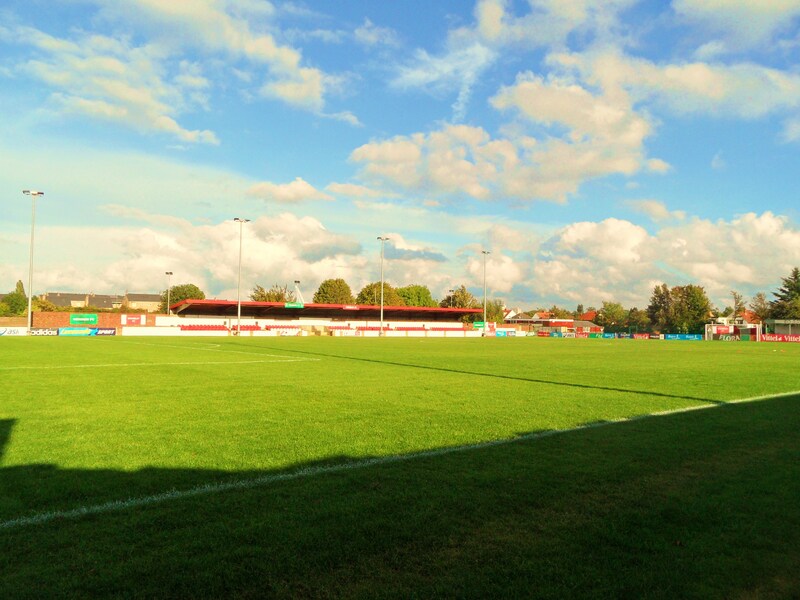 Vale Farm is the home of Wembley FC, the controversial non league club who have been the beneficiary of the Budweiser dollars in their attempt to engineer a “rags to riches” story. 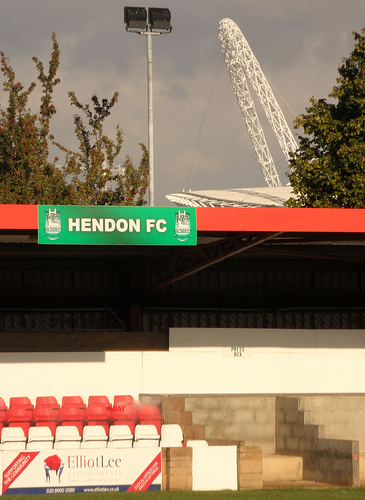 But for all of the branding, FA-endorsed news stories and publicity stunts, there is another team that plays here – Hendon FC. On the last warm sunny day of 2012 I sat on the Bakerloo line with Patrick Marber, one of my fellow board members at Lewes FC as we passed the Arch of Wembley Stadium. We both paused our conversation about the pre-match meal we had enjoyed in Farringdon including a Nutella pizza and chocolate salami and silently looked in awe. We knew this would be the closest we would get to the famous stadium wearing our Lewes FC badges with pride. Our journey to north-west London in the FA Cup was being made in good spirits. Despite the Rooks shaky early season form, this was the FA Cup and everyone from Pav the kitman to Terry Parris the chairman knew that the prize pot was very important in the journey to a self-sufficient club. The prize fund had risen to £4,500 for this game, around 15% of the season’s budget. Small potatoes? Hardly. It was a lovely afternoon. We walked across the park from North Wembley tube station, pausing to take in a few overs of cricket, was full of hope. After all, Hendon had started the season indifferently too, and on paper Lewes should have this one in the bag, especially with the solid spine of the team, Robbo and Beckford, back in the starting XI. Lewes had last visited Vale Farm a year ago. Since then Budwesier had obviously sent in their branding team with full effect. Every surface had been painted red and rebranded. The bar was brand new, obviously was Budweiser on tap and even the pool table was covered in a Budweiser baize. Apparently Hendon also played here too, although not for much longer as next year they were heading west to share with Harrow Borough. Few concessions had been made to the Greens, with a token couple of boards around the edge of the pitch. 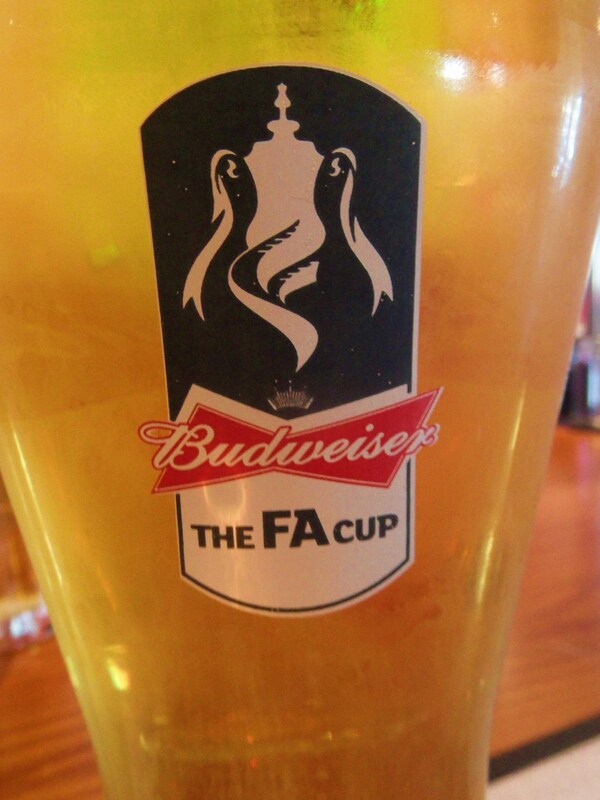 But for one afternoon it was all about the FA Cup (with Budweiser) and the eyes were on the prize. Hendon 3 Lewes 0 – Vale Farm – Saturday 22nd September 2012 I am not taking anything away from Hendon, but Lewes were shocking. In the few years I have followed them I have rarely seen them play so badly, surrendering their place in the next round of the FA Cup without so much as a whimper. This was a game that Lewes should’ve won – that was until a ball was kicked. From the moment the referee started the game, Lewes weren’t at the races. As one of the loyal few fans who had made the long trek to this game I felt gutted. As an owner of the club I felt annoyed that the prize pot had slipped through our open hands. As a director of the club I stood and watched, knowing that I had to shoulder some of the blame as a custodian of the club. Lewes should have sensed that they shouldn’t underestimate Hendon as early as the third minute when the ball flashed across the box and the forward narrowly failed to put the ball into an empty net. The Rooks actually then got on top, with Beckford pulling the strings, Walder putting in the tackles and Nathan Crabb causing a nuisance to the Hendon back four. Beckford came the closest to breaking the deadlock when his shot from distance was tipped over the bar by the keeper. Deaks and I headed to the bar to get “some nondescript” beer as Dave called it. A pint of fizzy, weak American beer was the high point of the half. At least it was nil nil. Wrong again. As we took the first sip of nothingness Hendon scored. 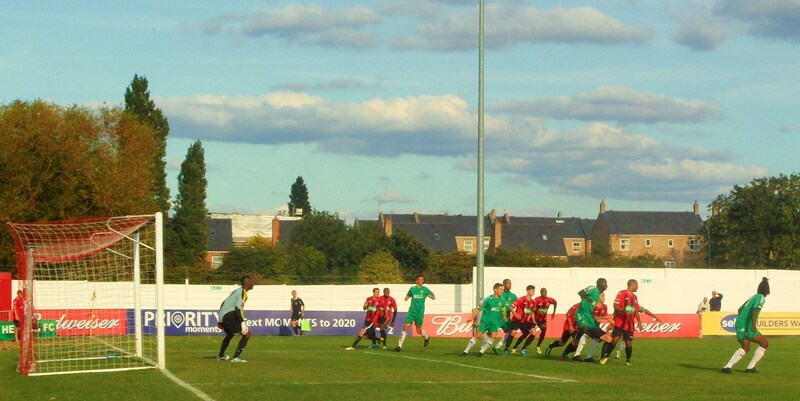 A poor defensive clearance found its way to Dean Cracknell and he slotted the ball home. Hmm, not quite in the plan Patrick and I had on the way up. Still, forty-five minutes to get back on course and get our name in the draw on Monday morning. Alas it wasn’t to be as Elliot Charles and then substitute Michael Murray put the Greens into the next round, leaving the Lewes travelling band of 25 Lewes fans scratching their heads as to what had gone wrong. You don’t get a second chance in the cup and it was now dawning on us that not only would we have a free weekend when the 3rd Round would be, but Wembley Stadium would never be this close. I have the ultimate respect from the small band of volunteers who keep clubs like Hendon running. The official attendance was just 166. Take away the 25 or so Lewes fans and around the same number of Hendon officials. You are left with a very small number of fans who will have contributed to the revenue of the club. The FA Cup money will come in very useful for the club, but when it runs out, what then happens? As their Chairman wrote on their website – “And then there’s the final group of fans ? who no longer attend home matches, no longer pay (or have never paid) their Trust memberships or do not participate in the Snowball lottery. They “look out” for our results on the website or via Twitter. They “like” our Facebook page.” “We need people to come to home games and encourage their friends to come too. We need people to buy season tickets even if they are only going to get to the occasional game. We need people to join (or rejoin) the Trust. We need people to take a Snowball (or two) and encourage their friends to do so too. We need people to sponsor match balls and players? kits. We need people to make donations. We need people to volunteer for match day duties. In short, we need people to do more than they are doing. Otherwise, there might not be any more results to look out for on the website or via Twitter and there may be no Facebook page to like.” I applaud his words 100% and this should be a message every club takes to heart. As a fan of Lewes I know we are in a better position than most clubs at our level thanks to our home support and backing of the town. As a member I am also eternally optimistic that the club is genuinely owned by people who care and as a Director of the Club I am grateful that we have a plan for the future. So why did we get today so wrong on the pitch? Who knows. I do not believe in bad luck (as Adrian said to me near the end of the game “There is no such thing as bad luck in football, just bad technique), nor do I buy into the “bad day at the office” theory. Games are won and lost in the preparation for the game and that is why Hendon won, and Lewes lost. There will be other cups (starting next Sunday in the FA Trophy at home to Lowestoft Town) but it is the dream of every single Non League club to reach the 1st Round (or further) and draw a Sheffield United or a Portsmouth this season. That dream will have to be put back in the box for one more year. 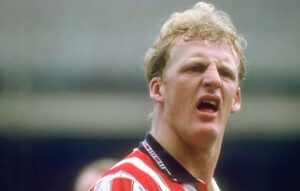 Bloody Iain Dowie. We can’t get away from him! Yesterday we were in Cheshunt where he started his career for the FA Cup tie with Southend Manor. Today it was a trip to Hendon for the Ryman League game with Lewes. Dowie made a name for himself at Claremont Road, scoring 47 times in less than 90 games for the Greens before Luton Town came knocking offering Hendon £30,000 for his services which is still their record transfer received. During the seventies and eighties, Hendon were a real force in Non League football. They won the FA Amateur Cup back 1972 and went onto the the Champions League equivalent the following season for European amateur football. They also reached the third round of the FA Cup where they took Newcastle United to a replay after an amazing draw at St James Park. The past decade has been harsh on the club with relegations and financial worries which led the position where they could not continue to fund themselves. 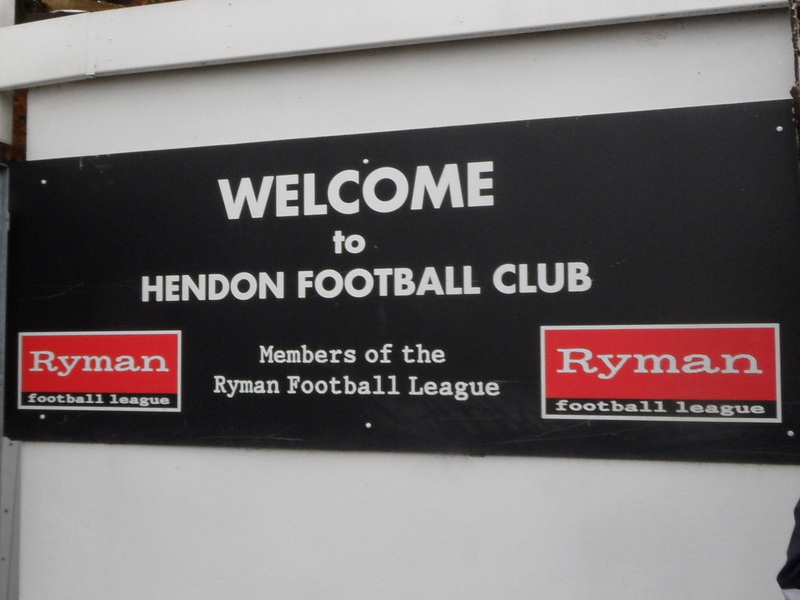 Just two years ago Hendon were forced to leave their spiritual home at Claremont Road. There are a number of reasons how and why this happened which is not for these pages. 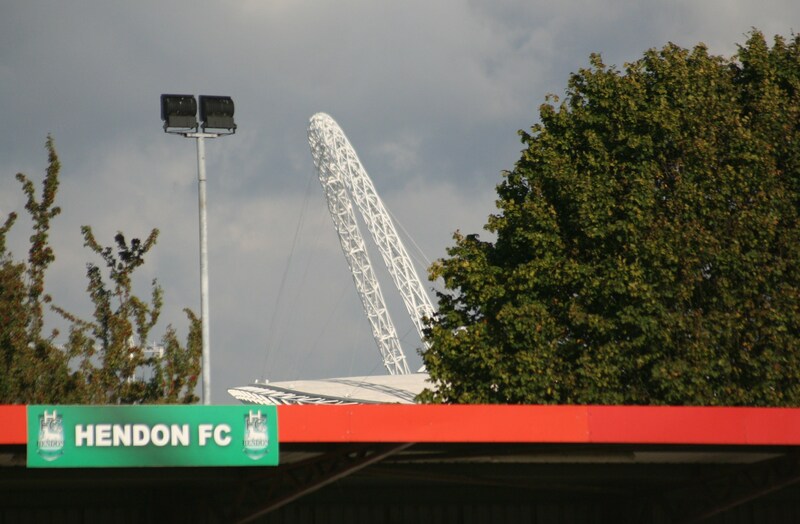 After potential groundshares with Harrow Borough, Northwood and Staines Town were discussed, an agreement was reached with Wembley FC to share their Vale Farm ground. Vale Farm sits in the shadow of Wembley Stadium, yet the two venues could not be more different. Luxury at Vale Farm is a spot standing behind the goal and culinary delights are provided from a mobile van. However, the pitch has always been a thing of beauty as opposed to the National Stadium’s one as was used by England for their preparations for the 1966 World Cup no less. 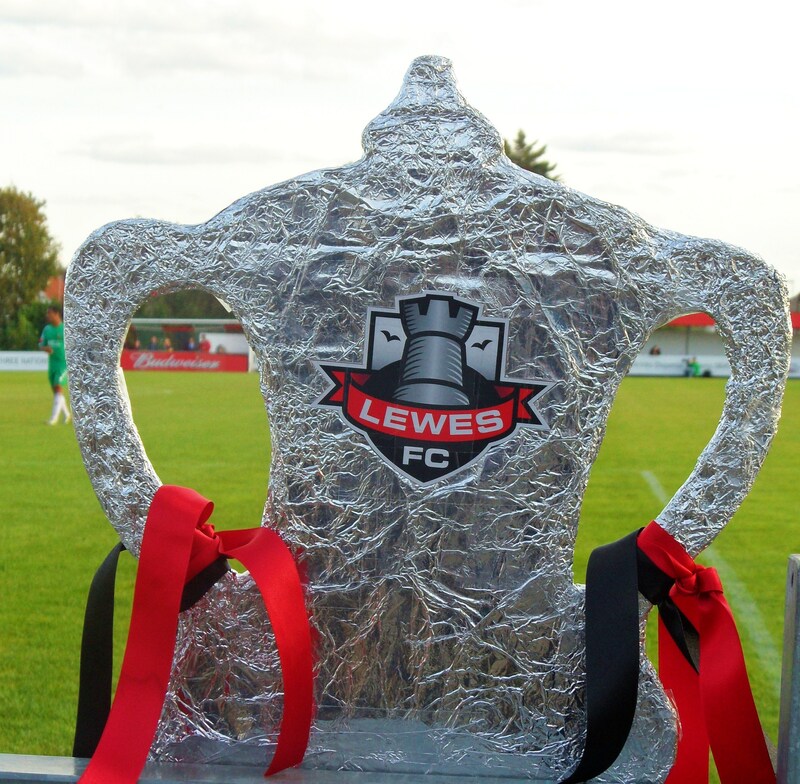 Today they are a thriving Community-owned club just like Lewes. In fact this was to be the first “All Community” game of the season and the crowds were out in force. Not only was this a celebration of Supporters Direct in action, but it was also a great excuse to continue to celebrate Non League Day. And that meant a chance to shake the hand of one of the three who played such a huge role in this year’s activities, Cyndee Mitchell, the beauty behind this year’s success (Sorry Mike/James). If Sky Sports actually realised that football existed below the Football League then this game would have been the only choice for Super Sunday coverage. Top of the table Hendon, with a 100% record versus pre-season favourites Lewes with 3 wins out of 4. It was bound to be an absolute cracker. And to boot it was a bonus game for Non League Day which had proved so successful yesterday. After the sunshine of yesterday we woke to the return of the proper English summer – rain. And not just a light shower, or some “drizzle”. We are talking about a tidal wave of rain. On the drive up to the game via Central London streets were flooded, people were swimming in the streets and I was passed by a canoe going down Cheapside. But we soldiered on through and pitched up at Vale Farm just before kick off. Five pounds admission for showing my West Ham v Leeds ticket (realising some value I never thought would occur) and in place just as the two teams emerged. Hendon 2 Lewes 2 – Vale Farm – Sunday 4th September 2011 Well let’s start with the positives. Lewes ended Hendon’s 100% record; the rain stopped and the sun came out and keeper Stuart Robinson didn’t get his leg broken. The negatives? Well it can be summed up by two words – Benjamin Furneaux. All we can hope was there was a referee’s assessor on duty at Vale Farm and Mr Furneaux, and his assistants I might add, get “re-assigned” for retraining. It started well enough for Lewes. Just two minutes were on the clock when Michael Malcolm snaffled (I love that word) the ball in the six yard box and Lewes were one to the good before most of the Rooks were out from the bar. GOOOOAAAAAAAAL shouted Big Deaksy, loud enough for Cynical Dave to hear. Why would that be an issue, you may ask, considering Dave is such a loyal Lewes fan. In fact he hasn’t missed a game for years. Well today he did. He was actually in a pub in Lords (Cricket, not religious miracle) sheltering from the rain. Cynical Dave? Fair weather Dave as Mr Marber said. As with previous weeks Lewes bossed the game, snaffling (that word again) out any threat from Hendon and trying to get the ball wide to Ciardini and Kamara. If there was to be a second it was going to go in at our end. That was until our friend the referee got involved. With the half hour approaching, the linesman deemed that in the process of taking a drop kick, keeper Stuart Robinson had stepped outside of his area. Harsh as the ball appeared to be in mid air at the time but perhaps if the official concentrated on penalising blatant foul throws with the same vigour it wouldn’t have been so bad. From the resultant free kick Godfrey smashed a great free kick through the fragile Lewes wall to level the scores. As I wandered around the pitch enjoying my burger I had a perfect view of Lewes’s penalty incident…or should I say lack of it. Have a look at the picture on the right expertly taken by Mr Boyes. Malcolm is clean through on goal. The ball is not running away from him, and the number 6 is the last defender. It would have taken a dive and a half to end up in that position should the offence have taken place outside the area, but that is exactly what the tin pot referee decided happened. The linesman, who was bang on level with play and in front of me, and three substitutes also saw the incident but refused to flag, telling the subs that “It was the referee’s call”. Sorry mate, you bottled the big decision. So instead of a penalty and an hour against ten men, Lewes had a free kick against eleven. After a brief refuel in the club bar thanks to Narrow The Angle it was back to the action. Again it was Lewes who looked the most dangerous and it was no surprise that the Rooks again took the lead. It was that man Malcolm again, like a fox in the box, pouncing on a mistake by the keeper in handling a corner and smashing the ball home. Two almost became three when Aaron Watson’s Ricky Villa-esque run was thwarted by a great last gasp tackle in the area. But the remaining action was to happen at the far end of the pitch. Firstly Ngoyi was able to capitalise on some poor defending from a set piece for Hendon and he drove the ball home to equalise, and then substitute Aaron Morgan was red carded for a shocking late tackle on keeper Stuart Robinson. Robinson was incensed with the tackle that left a huge gash in his sock and had to be restrained from getting physical with the Hendon player. However, the referee then bizarrely booked Robinson for time wasting as he changed his sock. If he hadn’t then his shin pad would have fallen out, which as we all know these days, is also a bookable offence! Lewes brought on new signing Nanetti (“In the” to his team mates) and his jinking run and shot was well saved by Laurencin to bring the curtain down on an entertaining game. So Lewes brought the Green Dragon’s 100% record to an end, but must feel aggrieved that one man had such an influence on the result. The good news was that the display had been the most positive we had seen this year, and the emergence of wide men galore in Ciardini, Watson and now Nanetti means Lewes will be a cracking side to watch this season. Next up – Aveley and possibly the best match poster of all time!. An alternative view can be found from this excellent website. More pictures from the game can be found here.